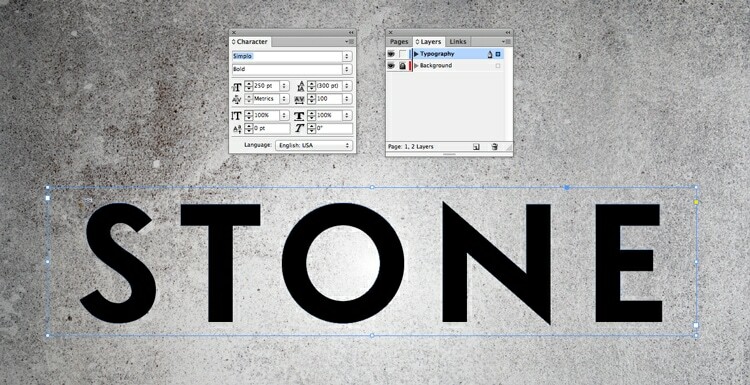 Who’s got the time to do lengthy typography tutorials? Or the money to buy expensive Photoshop actions? Here at InDesignSkills we’re all about making your life easier, while picking up some awesome new design skills along the way. 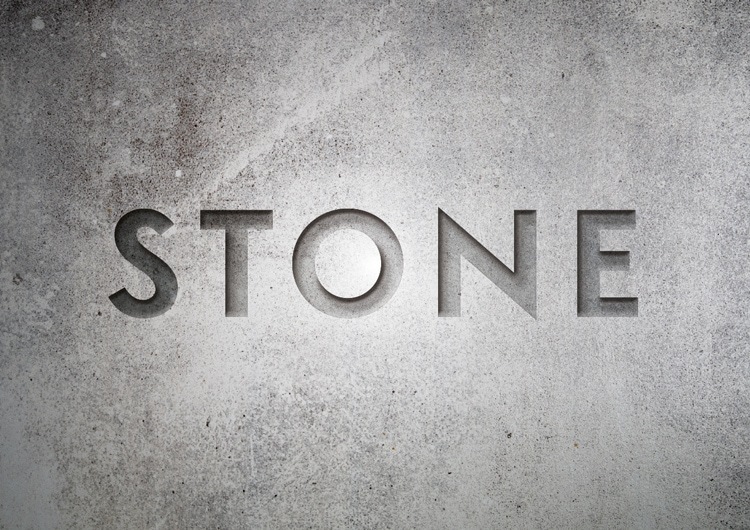 Read on to discover an incredible stone text effect you can create directly in InDesign in under 5 minutes. 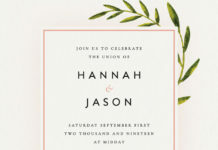 Looking to channel Game of Thrones in your designs? This engraved stone effect brings drama and ancient appeal to text, making it a fantastic match for advertising and poster work. We’ll set up all of the effects here on a landscape A3 page (go to File > New > Document), though of course feel free to adapt the page size to suit your own purposes. 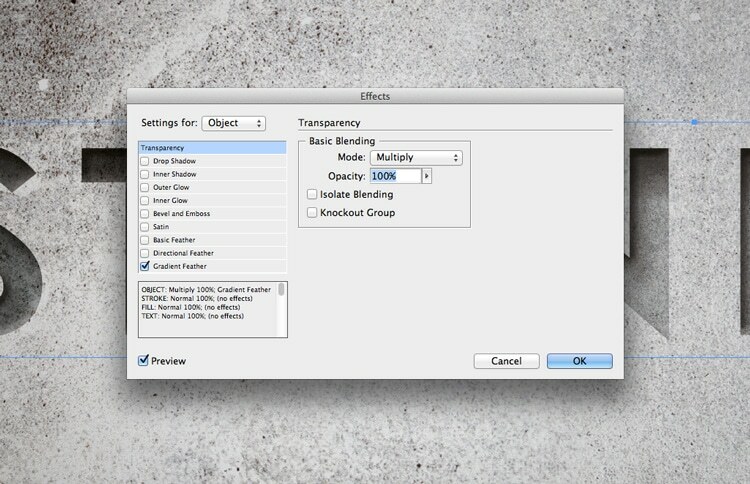 Expand the Layers panel (Window > Layers) and rename Layer 1 as Background. 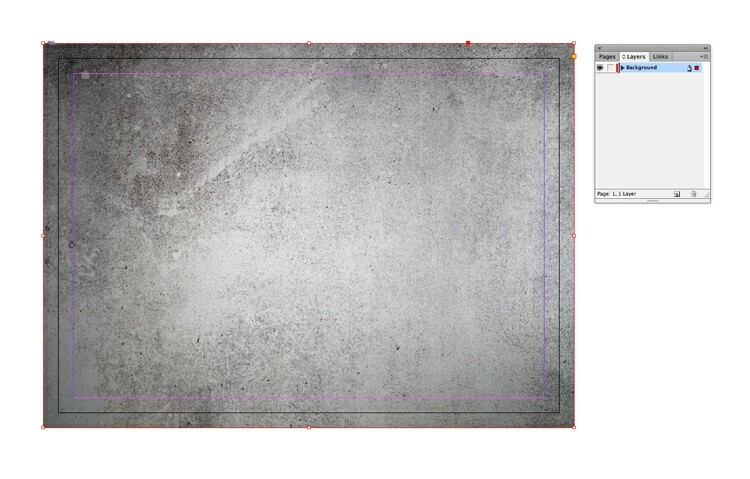 Use the Rectangle Frame Tool (F) to create an image frame that extends across the whole of the page. For this effect you’ll need to find a stone background image, preferably one that’s not too dark, to allow the shadows to stand out. Here I’ve used this grey stone background image from Shutterstock. Go to File > Place, choose your image, and click Open, allowing it to fill the whole image frame. 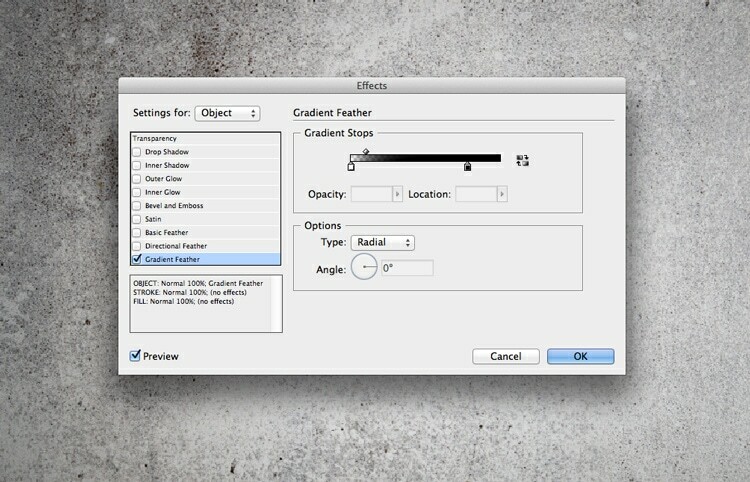 With the frame selected, go to Object > Effects > Gradient Feather. Set the Type to Radial and allow the gradient to extend from darker around the outside of the image to lighter at the center. 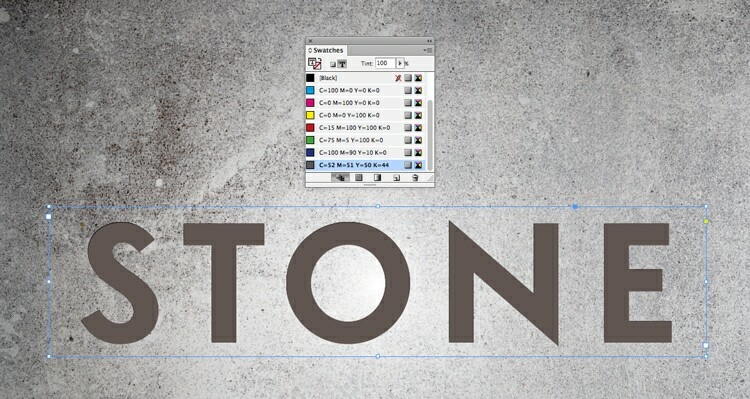 Lock the Background layer and create a new layer above, renaming it Typography. Use the Type Tool (T) to create a large text frame on the center of the page, and type in your text. From either the Controls panel running along the top of the workspace or the Character panel (Window > Type & Tables > Character) choose a Font for your text (here I’ve used Simplo Bold) and set the text in All Caps. 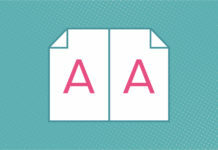 Select the text frame and Edit > Copy it, preserving a copy on the pasteboard. With the text frame selected go to Type > Create Outlines to convert the text to a vector format. 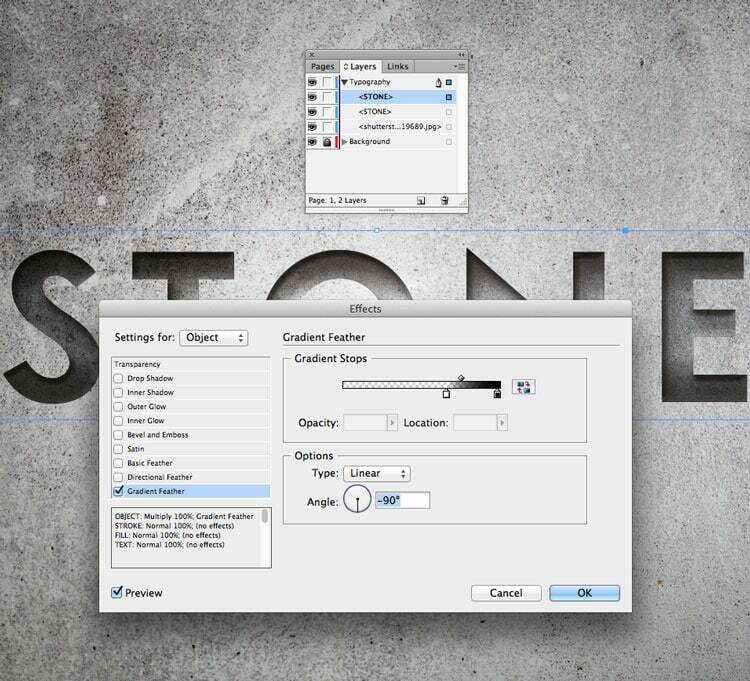 Then go to File > Place, choose your stone background image as before and Open it, allowing it to fill the outlined text. Now you can start adding effects to your text, to add depth, shadow and highlights. 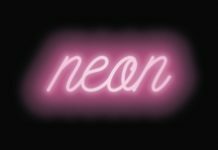 Select the vector text and go to Object > Effects > Transparency. Set the Mode to Multiply. Then click on the Bevel and Emboss option in the window’s left-hand menu. Set the Style to Inner Bevel and Technique to Smooth. Play around with the Size, Depth, Angle and Shadow and Highlight Opacities until you’re happy with the effect. To give the impression that light is being cast from above over the stone, you can add an Inner Shadow. Click on this option in the window’s menu. 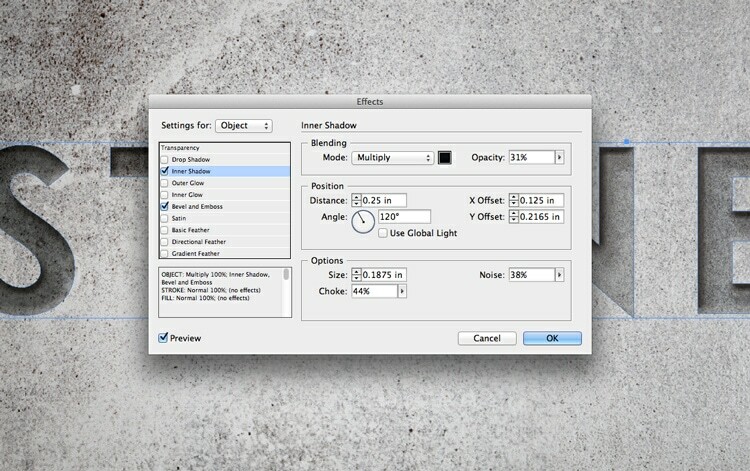 Adjust the options until you’re happy with the depth, direction and strength of the shadow. Click OK to exit the Effects window. If you want to make your effect even more graphic and strong you can add stronger shadow effects at the top and bottom of the type. To do this, Edit > Paste in Place your earlier text frame on top of the existing type effect. 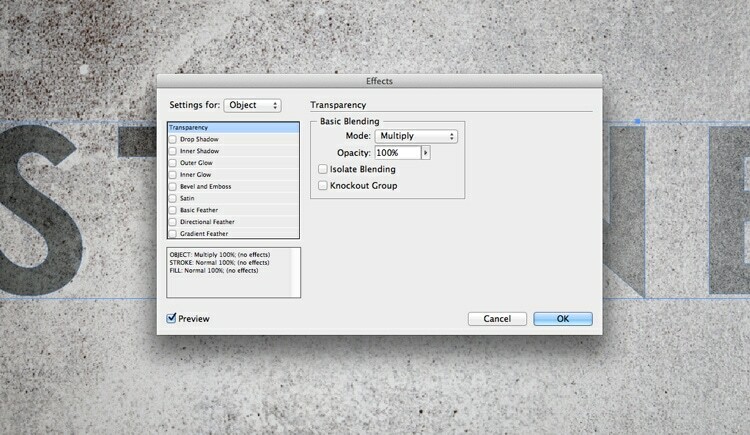 Use the Eyedropper Tool (I) to pick up one of the darker shades from the surrounding background image. Double-click the picked-up color which is now visible at the bottom of the Tools panel. Click into one of the CMYK text boxes, and then choose Add CMYK Swatch. From the Swatches panel (Window > Color > Swatches) you can now apply the swatch to the text color. Select the text frame and go to Object > Effects > Transparency. Set the Mode to Multiply. 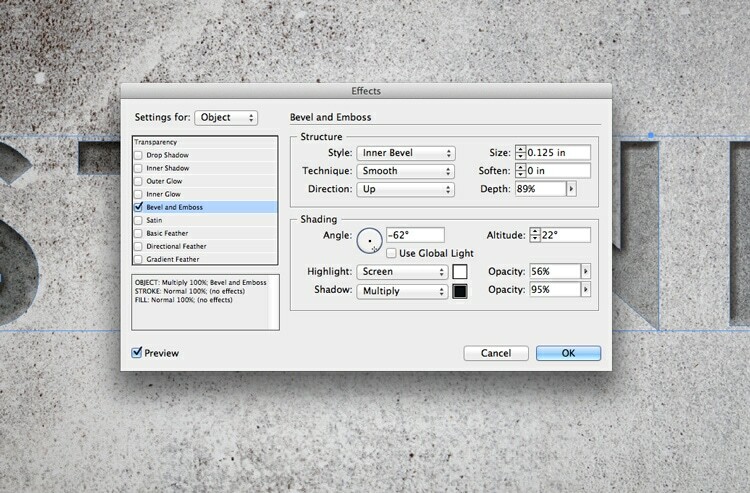 Click on the Gradient Feather menu option, and apply a Linear gradient at a 90 degree angle, extending from darker at the top of the text, to lighter at the bottom. Select the text frame and Edit > Copy, Edit > Paste in Place. 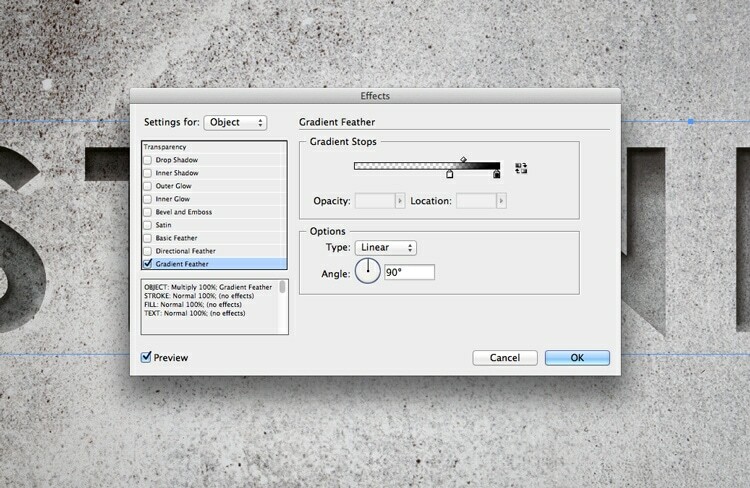 Go to Object > Effects > Gradient Feather and click on the Reverse Gradient button to the right side of the Gradient Stops slider. And you’re done! 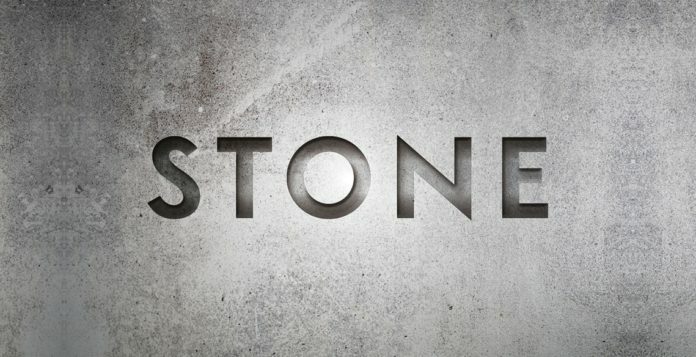 This high-impact stone text effect has a cinematic feel—why not try using it on a poster for extra drama? Want to give your typography skills a refresh? 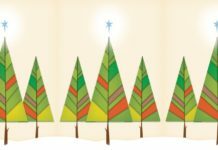 Head to the beginner tutorials page to find fun and simple tips and tricks to give your text the wow-factor.